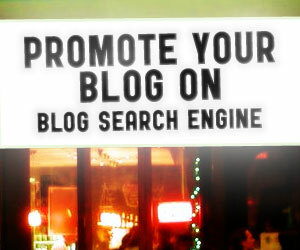 BlogSearchEngine is one of the most reputable blog directories today. It was recently re-launched with a new design and they now boast of more packages to choose from. The Silver Membership Package includes a Blog Search Engine Review Listing, a blog review which is written and published with permanent backlinks on Bloggy Award, and you also get listed at Xfep.com â€“â€˜Uber Blogsâ€™ for 3 months. For the Gold Package you can get everything in the silver package plus a 30 day link on EatonWebÂ â€“a portal with the same functions as SearchEngine. The Platinum Package is the ultimate membership package because it is a combination of all three packages. An additional perk is a custom made banner that will be displayed in the ‘Featured Blogs’ section of BlogSearchEngine for 15 days. So what are you waiting for? Get your blog to be noticed and increase your hits. Simply click on the â€œGet Featuredâ€ link on top of the site to sign up. It will then ask you to enter your blog details and send the payment via Paypal. Join now and get a chance to win a Platinum Package worth $99.99! All you have to do is send out a tweet about this contest and include a link back to the following URL:Â http://bit.ly/rqPTDL. Copy and paste the full tweet you sent into the comments section on this page. The contest goes until end of day 11/11/11. The winner will be announced no later than 11/14/2011. Cigars, just like wine will taste better if they are lit after some time. This is not to say that a cigar is not worth it if it is immediately lit by anyone who may have one. It is merely stating a fact that a cigar will improve in its taste and quality after some years of proper storage since this is how the tobacco leave contents prosper with regards to quality tasting cigars. To some people, it would be best to check out the labels that they come with. The years specified in each box or label have a purpose and this is to show how long the cigar has been preserved thus for people to expect a higher quality taste for them. Aging cigars may draw negative conclusions. But this would depend entirely on how educated the person who will be lighting the cigar is. There is no basis for waste when one talks about the length of storage a cigar has. The longer a cigar is kept, the better the taste it will provide once it is lit and smoked. I donâ€™t even have to try the cigar to want one. The mere mention of the name makes me want to light one up right now. Doesnâ€™t it just evoke a sense of excitement, a quickening of the blood? Gurkha Black Dragon. That sounds wonderful! The box alone suggests that the contents are fascinating. Slick black with orange trim, the only reason you disturb the presentation is because you know what’s inside. The Gurkha Black Dragon Tubo cigars sit within, each encased in a frosted glass tube. Slide the metal cap from the case, and extract the cedar-wrapped cigar … the ritual itself shapes the smoking experience that follows. The Black Dragon is far more powerful than most of the Gurkha cigars you’ve smoked. The dark wrapper belies its fuller taste, which is just a bit north of medium-bodied. Like any sophisticated cigar, the flavor does evolve from one end to the other, as the cigar gains momentum especially after the first two inches. The fullness stays with you to the end, maintaining its potency to the end rather than receding to a disappointing mildness. More than the powerful flavor that you get at the beginning, I like how the flavor continues to satisfy you till the end. This is perhaps one cigar that you can enjoy to the fullest. Naturally, we should expect to pay for this kind of experience. I am willing, are you?